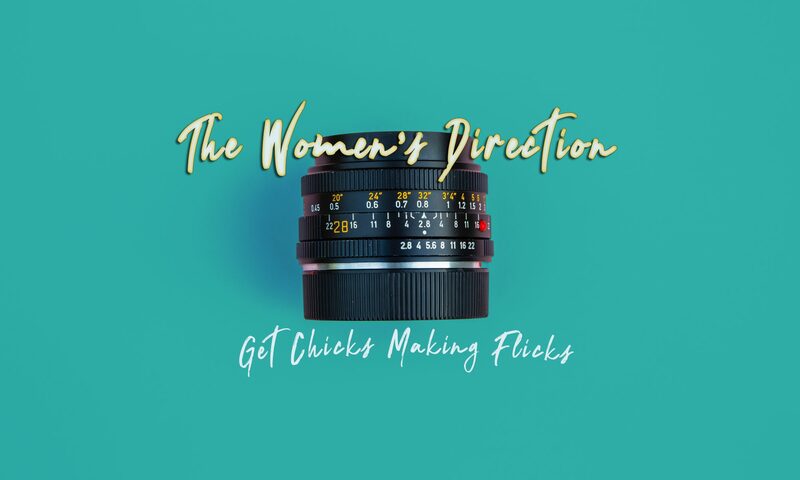 If you’ve been following my blog for a while you will know that I feature work by female filmmakers. By showcasing work from women around the world I have tried to increase the visibility of female directors and therefore increase the chances of bridging the gender equality gap. This week I thought I’d try something a little different however by sharing an example of the kind of research that is being undertaken to try and study why there was such inequality in the first place, and what kind of action will best benefit the journey towards parity. Amy Boyle is in her first year of a Doctor of Philosophy (Arts) at the University of Wollongong in Australia. Her research is focused on exploring the representation of women, and the circulation of hetero-patriarchies and feminism through popular culture. For her thesis Amy is going to examine how the movement from broadcast network to subscription television has cultivated a feminist niche audience and a new demand for female-centric fiction. With a clear focus on studying feminist ideals I thought i would ask Amy some questions about her research and why its important. Interviewer (I): Can you give me a brief overview of what your thesis is going to explore? Amy (A): Broadly speaking, my research is looking at how the evolving television industry has responded to and cultivated a feminist niche audience, creating a demand for female-centric feminist content. I’ve been theorising about this shift since about 2014 when I started to notice a genre emerging of the female crusader fighting against a hetero-patriarchal system that is attempting to subsume her. Obviously this trend is picking up on cult texts like Buffy the Vampire Slayer and Xena: Warrior Princess, but unlike the anomalies that have come before, these characters and stories are becoming commonplace, especially across subscription television. My case studies will involve Starz’s Outlander (2014), Netflix’s Jessica Jones (2015), HBO’s Westworld (2016), and Hulu’s The Handmaid’s Tale (2017). (I): Why did you pick these 4 shows in particular? (A): I chose these particular series because from their inception each of these production companies have pitched them as their “flagship” female-centric feminist show. Outlander marked a turning point in television by offering a pseudo-historical fantasy drama with a female lead and a distinctly female gaze. This was developed in direct response to the criticism HBO’s Game of Thrones received for its objectification of women. Jessica Jones is of course, the first female marvel superhero to have her own onscreen text. Westworld has built on the appeal of female characters in Game of Thrones and responded to its female audience (almost half the viewers). The Handmaid’s Tale is unprecedented in its feminism – it is highly critical of gender inequality at an institutional level and has gone on to inspire global activism. There is actually a lot that these shows have in common – they are all adaptations that dramatically enhance the feminist themes of their original sources; they are all feminist science fiction/fantasy dramas; they all empathise with the female fight against the hetero-patriarchy; and they all advocate for female personhood, liberty and autonomy. (I): How is subscription TV supporting the feminist market as opposed to other mediums? (A): Rather than an advertiser supported marketplace, we’re increasingly seeing an audience driven subscription marketplace where people pay for the content they want (Netflix, Stan, Foxtell etc.) In the past, television companies used to target households or broad demographic groups. But now, the industry has had to develop into a much more personalised, diverse and topical market to keep all different types of people subscribing. At the same time, there has been a resurgence of feminist discussion, facilitated by new media. So, basically, my theory is that industry interests and feminist interests have aligned, with feminist texts emerging across different services and platforms to harness this community. (I) Do you think it’s a positive thing that subscription TV is catering to this feminist market? (A): I think it’s great that we’re seeing more explicitly feminist texts. There have always been texts that have responded to feminist issues, but in the past, this address has often been more ambiguous to appeal to both conservative and progressive audiences. Now we’re seeing texts that expose sexism and empathise with the female fight, rather than exploit and sympathise with female experience. The series that are emerging are largely stories of resistance and revolution, where the viewer is led by female protagonists in their struggles and triumphs. More importantly, many of these texts go beyond representations of sexism at the individual level and investigate gender inequality as an institutional issue. Television is thereby providing vehicles for the discussion of female rights and also, vehicles for feminist inspiration. This is particularly the case with The Handmaid’s Tale, which has had a profound political effect, with feminist activists incorporating “the handmaid” costume into their protests. What’s interesting is that this hasn’t just happened in America, but also in Australia, Ireland, Costa Rica, Argentina, Croatia, Poland, Finland and Israel. This incorporation suggests that such texts are not only bolstering transnational feminist consumer markets, but also feminist consciousness and political communities. (I): In what ways could television be commodifying these feminist interests? (A): Of course, the underside of that is that the feminist interests are being commodified for capitalist agendas. I don’t believe the industry has done this purely for political reasons – we are in an uncertain transitional period where controversy, diversity and a certain brand of feminism is selling, so it is definitely profit driven. Many would argue this undercuts the message. While I agree to an extent, I think one of the biggest hurdles to achieving equal political, social, corporate and economic citizenship, is by changing cultural attitudes. The changing media industry could have a real impact in this sense. In the past, theorists have argued that progressive media representation and consumption of such media does not translate to real political action. The reception of The Handmaid’s Tale has really changed the course though – it provides tactile evidence that television texts have real potential for inciting political activity, so much so that “the handmaid” is now recognised as an international feminist protest symbol. To shun anything that is advocating for female rights is just reducing the exposure of feminist messages, so I think the debate needs to be more complicated than just undermining a text’s potential to not feed into consumer values. (I): Do you think the message is as powerful when these shows are directed by men? How do you see the behind the scenes crew genders factoring in to your research? (A): Earlier this year, I was told by television studies scholar Kim Akass that “just because something is directed by a woman, doesn’t mean that it is feminist.” I think the same goes the other way – just because a show is produced, created or directed by a man, doesn’t mean it’s not feminist. In saying that, audiences aren’t stupid – thanks to new media, there is an increased awareness around gender equity behind the screens. By necessity, the media and entertainment industries are having to respond to this and television is at the forefront of equal representation. As discussed by Bruce Miller (The Handmaid’s Tale) recently in a Showrunner Roundtable with The Hollywood Reporter: showrunners, creators and producers are recognising that to tell female stories, you can’t just have a “token female” director or writer – you need a diversity of female personnel. In suit, all of these texts feature heavily female writing teams and directors, and their production teams have made a concerted effort to do so. This was especially the case with Jessica Jones, which featured all female directors for Season 2. Obviously, it is still a majority male playing field at the very top, but hopefully with the increased industry and audience awareness to gender equity, we will continue to see changes. (I): Will film ever reach the same level of feminist content or is this something that will only be achievable through Television? (A): As a medium, the television industry has diversified exponentially and has bred an exceptionally popular and lucrative market. Unlike film, television content extends over multiple seasons, with multiple spin-off series’, with multiple DVD opportunities, and so on. Research suggests it is a lot easier for television companies to bounce back because they have so many balls up in the air at the same time. Within individual series too, it is an ongoing process, so if a particular season doesn’t get fantastic reviews, there is the chance to come back better next time. More importantly, subscription services are taking advantage of in-built monitoring systems that provide rich databases, eliminating uncertainty of people’s viewing preferences. Film on the other hand, can’t afford to take as many risks – which is probably why we’re seeing Iron Man 25 and Avengers 17 in cinemas! In saying that, I think it’s only a matter of time before the film industry starts taking advantage of the feminist market. We’re definitely beginning to see it, with DC finally giving us Wonder Woman in 2017, and Marvel offering Captain Marvel, and a Black Widow solo movie in the coming years. Hopefully this will filter down through the industry and we’ll start to see more equal gender representation on and off the big screen! Previous PostPrevious Are We Over-Saturating?